There were some huge movies in 2005. When I say huge, I literally mean B.I.G. “King Kong” reintroduced a new audience – via the film stable of Peter Jackson which equals great special effects drawn out over three hours of celluloid – to the mountain-sized Ape. While Kong was tearing up Manhattan, Steven Spielberg was destroying the rest of the world in another remake – “War Of The Worlds”. George Lucas wasn’t going to be outdone by other special effects wizards with the concluding part to his Star Wars prequels with “Revenge Of The Sith”. And, for good measure, Tim Burton got on the remake bandwagon with his excellent re-imagining of Roald Dalh’s brilliant book “Charlie and the Chocolate Factory”. With Harry Potter making his fourth and darkest journey yet in “Goblet Of Fire”, Hollywood was awash with big-budget, highly stylized effects-driven crowd pleasers. But – which ones merit a Top 10 placing in Top10Films’ Best of 2005? The first two Harry Potter films were enjoyable despite the young actors’ limited range. By 2005, and finally out of the shadow of the Lord of the Rings franchise, Harry Potter was beginning to flourish. With the Prisoner of Azkaban and now Goblet of Fire, the Harry Potter franchise had found its own big screen voice. Here the actors are better than ever, the film is darker and the story more inventive and immersive. Comedy troupe The League of Gentlemen take their unique brand of dark humour to the big screen. 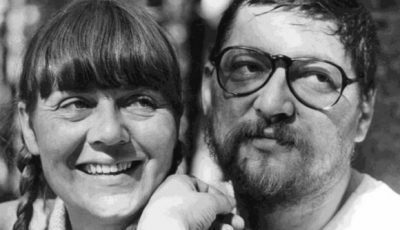 Perhaps more suited to fans of the original television programmes, the film’s inventive plot (featuring the writer’s creations coming into the real world and forcing their creators to write their characters the way they want to be written) should suit viewers even if they are not familiar with the show. Tim Burton’s update on Roald Dahl’s classic children’s book is a visual treat and Johnny Depp is great as Willy Wonka. David Cronenberg’s twisty, violent thriller features some top-notch performances and a great script. The best horror film of the year. Director Neil Marshall proves once again that he’s a master of suspense even if he borrows heavily from the horror films he loves. “The Descent” is great for trying to spot the homage reference. Based on Frank Miller’s graphic novels Robert Rodriguez’s “Sin City” is arguably his best work. The film features four inter-weaved stories of murder, revenge, and police corruption. 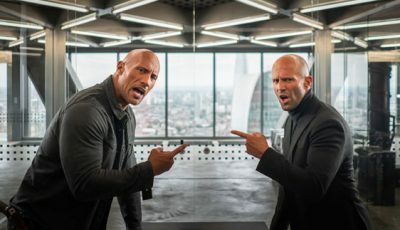 It’s brilliantly photographed using the new digital backlot technique which puts all the actors against a green screen and adds setting detail and special-effects in post-production. 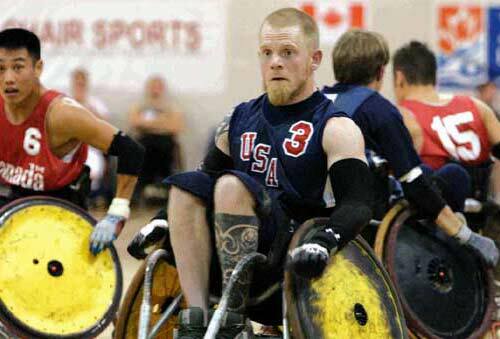 Rubin and Shapiro’s documentary film focuses on the quite brutal sport of wheelchair rugby – dubbed Murderball. It follows an assortment of men – most suffering from spinal injuries and some just coming to terms with life in a wheelchair – in the lead up to the 2004 Paralympics in Athens. It’s a hard hitting film – literally and metaphorically – which sheds light on a culture most people will be lucky enough to avoid in their lifetime. But what it does so well is to investigate how these courageous people find wisdom and friendship in each other, and a common goal that gives them renewed motivation in their lives. It’s a fascinating film. “Lethal Weapon”-writer Shane Black writes and directs this smart, quick-witted detective story that melds Los Angeles pompousness into the trappings of a gritty film noir. 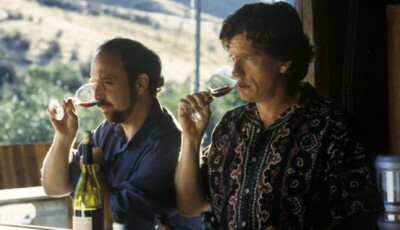 It’s Robert Downey Jr. and Val Kilmer who make it work though with fabulous comic performances. Thank goodness for Christopher Nolan – along with Alexander Payne – he’s the best director working in Hollywood at the moment. “Batman Begins” does what all the waste-of-space Superhero movies of the decade have failed to do – entertain, be original, breathe new life into the genre, bring the comic-book stories into the modern era, feature strong scripting and credible, authentic storytelling. Head and shoulders above “X-Men”, “Spiderman”, “The Hulk” and all the rest. Meet Burt Munro – a mild-mannered New Zealander who loves his 1920s Massachusetts-made Indian motorcycle – who has a single dream: to set the world speed record. The only way he can do it is to travel from his New Zealand home half way around the world to compete on the Bonneville Salt Flats in Utah, USA. He meets lots of people along the way, comes up against the prejudice of those that think an ‘old’ man like him (Munro was 68) couldn’t possibly ride a motorcycle at world record speeds, let alone an old machine like the Indian, and learns plenty of lessons to take back to his hometown. It is a film brimming with joy and optimism, wonderfully uplifting comic moments and an ending to make your heart melt. 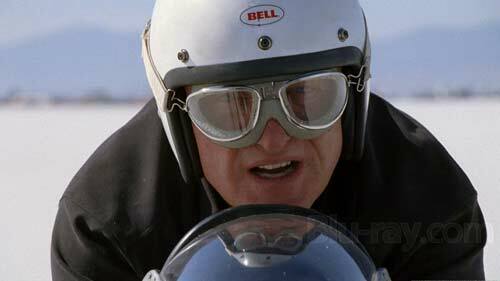 Anthony Hopkins as Burt Munro provides one of the best performances of his life. This unassuming film will take you on a journey of self discovery and make you smile for days. See it, watch it again, repeat! I just love all Johnny Depp’s movies…Pirates of the Carribean, Edward Scissor Hands, Sweeney Todd and the latest one Alice in Wonderland was awesome! Excellent choice for number 1. One of the most underrated movies of the decade. A true favourite of mine. Pretty unimpressive year in my opinion. Yeah, Batman Begins certainly deserves the plaudits it has been given. If I’m not mistaken Castor, History of Violence appears in your list twice, as does Grizzly Man – is this is miss-typing or do you simply love these movies uncontrollably! Perhaps there is room for The World’s Fastest Indian – if you haven’t seen it, as you can guess from my list, I definitely recommend it. Others I’d say are worth checking out would be Kiss Kiss bang bang and Murderball (one of the best documentaries of the last ten years). 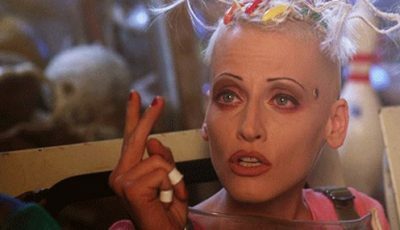 I’ll concede that Johnny Depp was good in “Charlie and the Chocolate Factory,” but I was not a fan of the film overall … and I’m not just saying that out of devotion to Gene Wilder. “The 40-Year-Old Virgin” deserves to be on any best of 2005 list, as do “In Her Shoes” — a vastly underrated, mature chick flick — and “The Interpreter,” a stellar political thriller. Yeah, I know a lot of fans of Serenity – I didn’t dislike the film but I didn’t feel it was as good as perhaps I thought it would be. I also like Joss Whedon – I still get suprised how watchable Buffy is even after I’ve seen all the episodes! Some good choices though M. – can’t argue about “The 40 Year Old Virgin” although I didn’t think much of “In Her Shoes”. Kiss Kiss Bang Bang and A History Of Violence were big ones for me this year. Love that you weren’t afraid to add Harry Potter or even Charlie and The Chocolate Factory. It’s awesome when lists are personal instead of predictable and obvious, it’s what makes us interesting. Yeah, History and Kiss Kiss were two of the most unique films of the year – perhaps of the decade. I loved Cronenberg’s film because it seemed to give a fresh angle on the idea of memory and personality with some traditional elements too. One of his more accessible movies. Kiss Kiss Bang Bang was immediately satisfying because it’s so funny, and Downey Jr. and Kilmer are so good in it. But there’s more to it that just a few laughs. It’s a real winner on repeat viewing too. And, I can’t hide my liking of the Harry Potter series. I didn’t like the franchise when the first two movies were released but I’ve gone back and re-watched them. Now I love the whole series although I did feel the last film was the weakest and a bit disappointing. Burton’s version of Charlie and the Chocolate Factory was a visual treat and featured another splendid performance from Depp. Loved History of Violence too. Would have to agree with M Carter on the inclusion of Serenity. Also liked Capote & Shopgirl. Thanks for the comment Olive. If you liked History of Violence – and you haven’t done already – check out Eastern Promises. It’s another great collaboration between Cronenberg and Mortensen. Nice list, I love it for its diversity. I liked a few others but those were the best for me. Interesting and again diverse list. I have to say I wasn’t a fan of Match Point though. Woody’s films of the past few years feel like a dirty pensioner’s dramatic retelling of last night’s dream of a sexual encounter with a 19 year old woman. I just don’t warm to them as I do to his 60s, 70s, and 80s work. I love Johnny Depp. He’s a great actor and of course super cute. I’m quite surprised he never won an oscar, even though he was great in Sweeney Todd. His best movie for me is Fear and Loathing. I’d have to concur with Encore on the inclusion of Brokeback Mountain, mainly for its historical significance in mainstream cinema. I’d forgotten Kiss Kiss Bang Bang existed (This keeps happening to me! ), therefore in spite of the fact that it was impressive at the time, the fact that it completely left my mind makes it not particularly worthy of a list! Burton’s Charlie and the Chocolate Factory portrayed Wonka in a truer fashion (ie: closer to Dahl’s original intention for the character), however Gene Wilder will always be Wonka for me. @Roisin Give Kiss Kiss Bang Bang another go, Roisin. You might like it more this time. 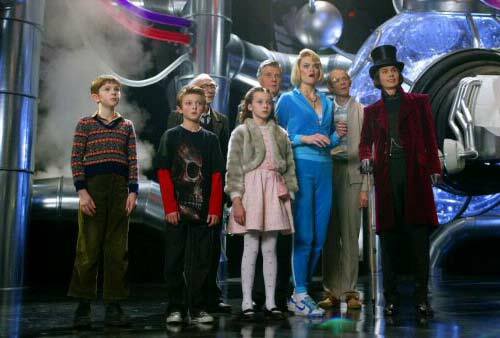 I enjoyed Tim Burton’s Wonka in part because of Depp and also because of Burton’s always vibrant imagination and the way he recreated the chocolate factory and everything in it. Although I agree Gene Wilder is the original that I will always remember, the first version of Wonka can’t compete with the new verson’s wonderfully realised and designed world. @Dan I remember enjoying Kiss Kiss Bang Bang at the time, so I’m not quite sure why I commented on it so negatively above. I must have been having a bad day on the 8th of July! I did forget about the movie in the meantime, but I definitely thought positively of it at the time of its release. It’s one I must watch again.